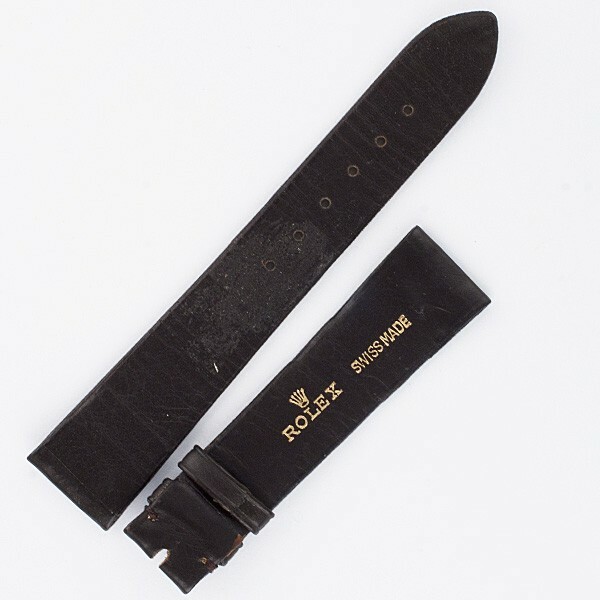 Rolex chocolate brown calf skin strap (19x15). Length is 4 1/2" (long piece) and 3" (short piece). 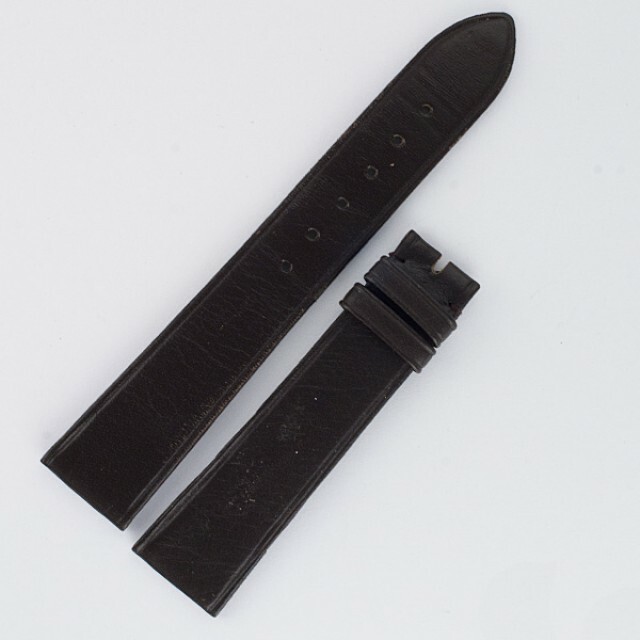 19 mm width by lug end and 15 mm width by buckle end.